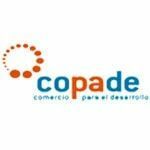 Removals and Storage The La Seda S.L was created on February 10, 2016, with the aim of offering all types of removals, removals and storage services in the provinces of Murcia and Alicante. Our daily dedication and desire to improve have made us one of the moving companies with greater projection in recent years, which has allowed us to expand our services throughout Spain and be present in other countries. We also offer the perfect solution for lack of space, for all those people who want to leave any kind of material or furniture for a certain time thanks to our furniture rental service. We have the best professionals and packaging tools to make your move a success and ensure the best result. All our removals are insured by the leading insurance company ALLIANZ, which guarantees ample coverage so you do not have to worry about anything. We belong to the main transportation associations that can endorse our daily work such as Fedem, Froet, Cetm and Fedemac. What do we believe? As the title says, we consider ourselves more than a moving company, since MUDANZAS Y GUARDAMUEBLES LA SEDA SL led by DAVID SÁNCHEZ MOLINA (CEO) and ALVARO LÓPEZ REGUERO (in charge of the Marketing Department, specialist in SEO and in accompanying companies towards a more sustainable way learning to respect the planet) participates in the PYMES and SDG projects, led by COPADE and co-financed by the AECID, whose objective is to improve the path of our company towards sustainability. Mudanzas y Guardamuebles La Seda SL is committed to reduce with its actions the pollution causing climate change on the planet and to be part of the Community #PorElClima, a pioneering initiative of people, companies, organizations and public administrations that come together with a common goal: be protagonists of the action against Climate Change in accordance with the guidelines set with the Paris Agreement. 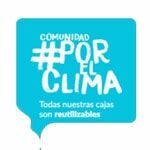 #Porelclima. 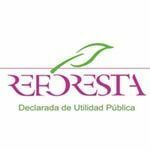 From Removals and Storage La Seda we want to contribute our bit in favor of a more sustainable world. 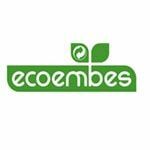 For this we have the ECOEMBES seal that certifies our commitment to waste treatment in our offices. We have containers available at various points of our offices for specific use for the disposal of waste that has been provided to us by Ecoembes. We have signed an agreement with the ONG Project Abraham under the motto #SiTeMudasDona in which we commit ourselves to donate all those clothes and furniture of our customers who no longer want it and can give it a second life for those people who may need it. Finally we do not want to forget the amount of animal abandonments that unfortunately for our work because we spend many hours on the road we see more often than we would like this problem, that is why under the motto #NoAbandonoAnimal we want to raise awareness for all those people who have to move and can not take their pets that there are several better possibilities rather than abandon them. Promotion of training through subsidized courses. Promotion of recycling and awareness on this issue. 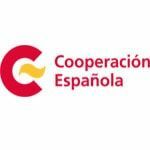 Dissemination of social and environmental activities of the company through social networks. Promotion of the donation of equipment for its reuse. Groupage, shared or combined moving initiative - Mitigation of C02 emissions.